Textures, colours and finishes evolved through discussions in the design process. 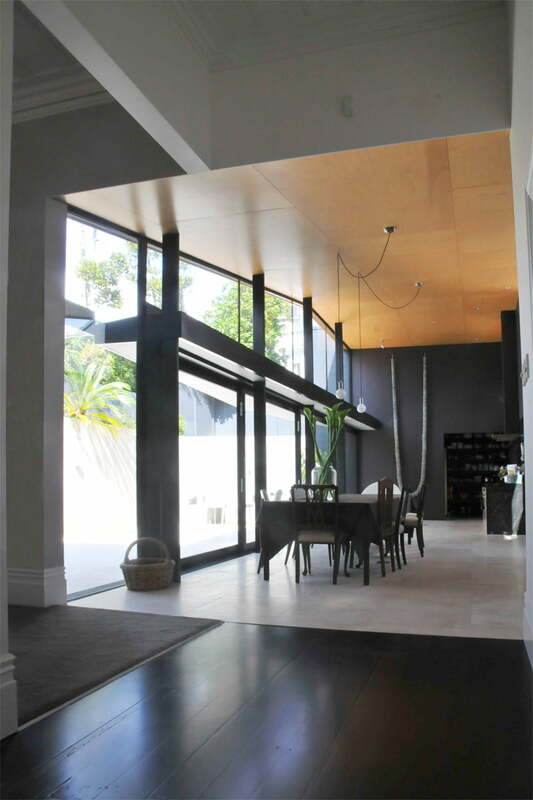 End result is a careful combination of dark, light and smooth finishes lining the new spaces. 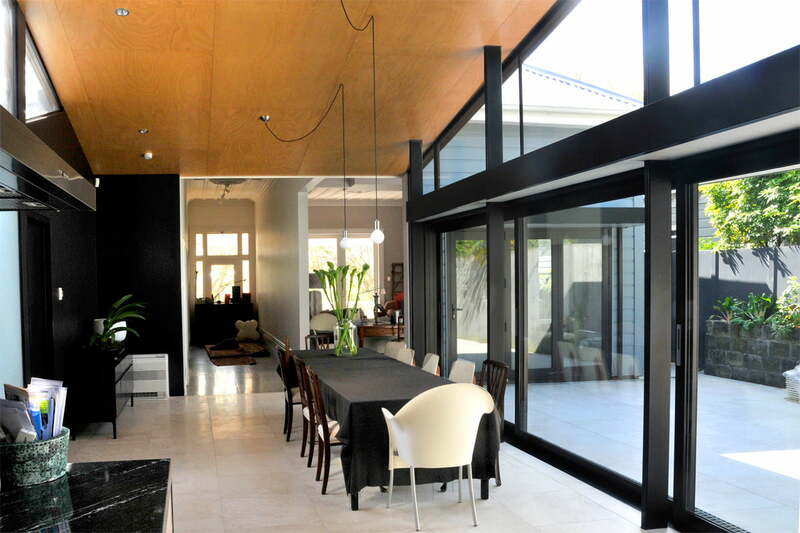 A grand inner Auckland Villa had, over time, been turned back to front. The separation of lower and upper floors meant that the main upper dwelling was now entered through the rear via a yard open to the street. 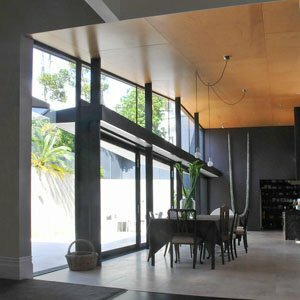 The clients needed this main floor reconfigured and transformed into a stand-alone house – the needed to make a front from a back. 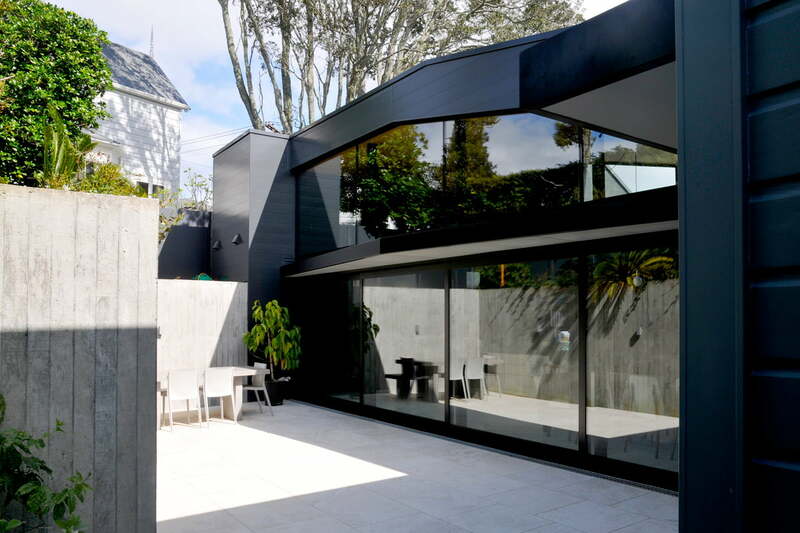 The design divides the site into front and back, entry and courtyard, by adding a voluminous kitchen and dining space as a scaled up extension of the existing hallway. 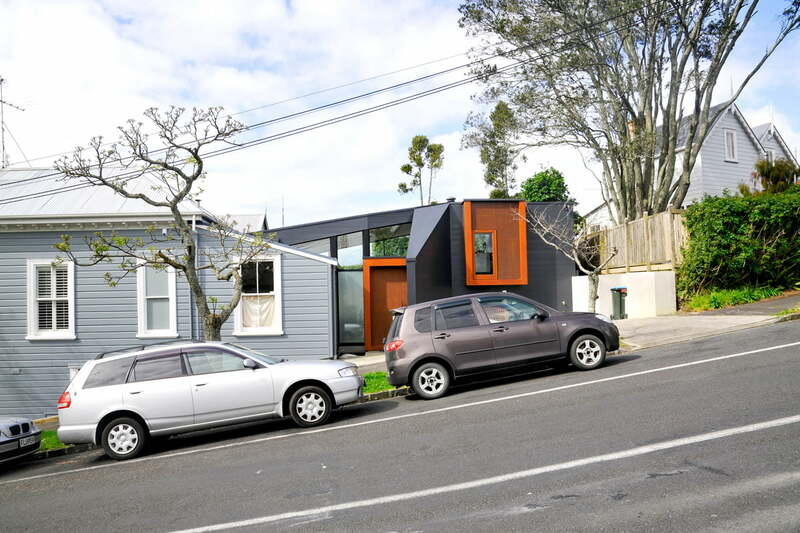 Rather than remove the lean-to, it is re-used as a guest room that also frames the new entry to those house. 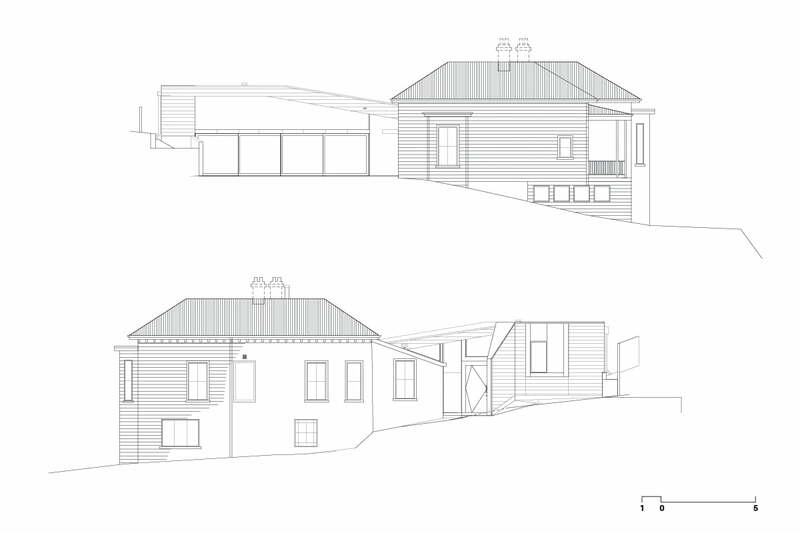 This scaling up approach was also used externally; the enlarged shapes and proportions of the existing windows and weatherboards give the appearance of a detached fragment of the existing house. 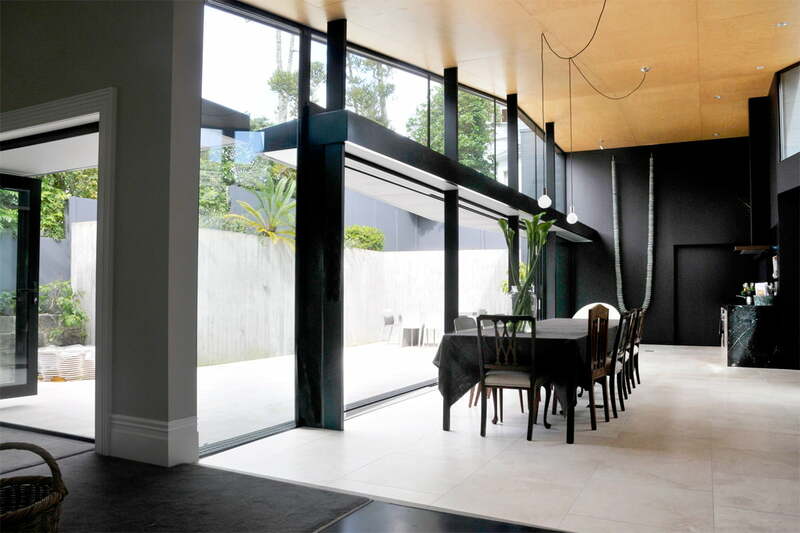 To the street, there is a wall, window and doorway; on the North facing courtyard side, the addition dramatically opens a through double glazed sliding doors and highlight windows. 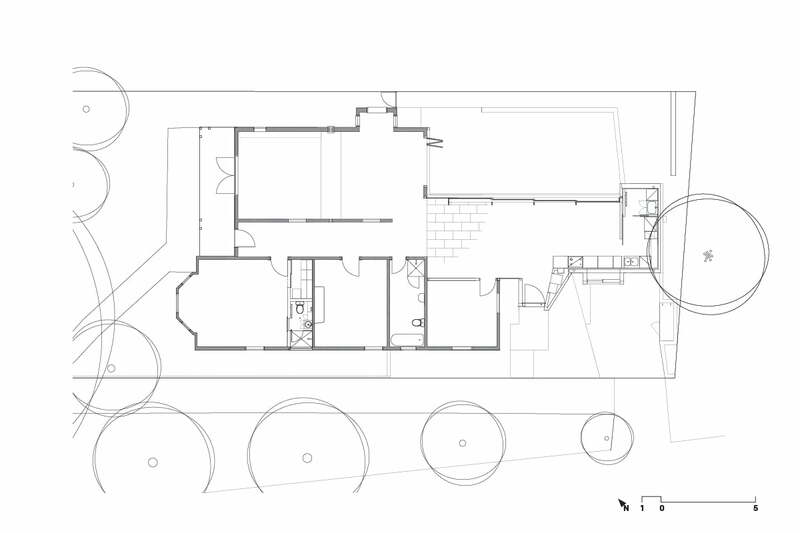 Freemans Villa is also a project about the client’s commitment to the materials of their new home. 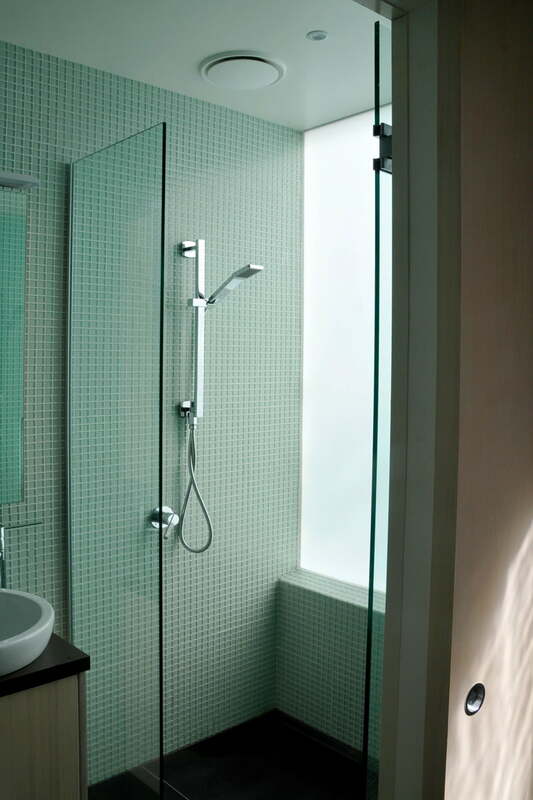 Discussions of textures, colours and finishes evolved across the design process and selections were fine-tuned during construction. 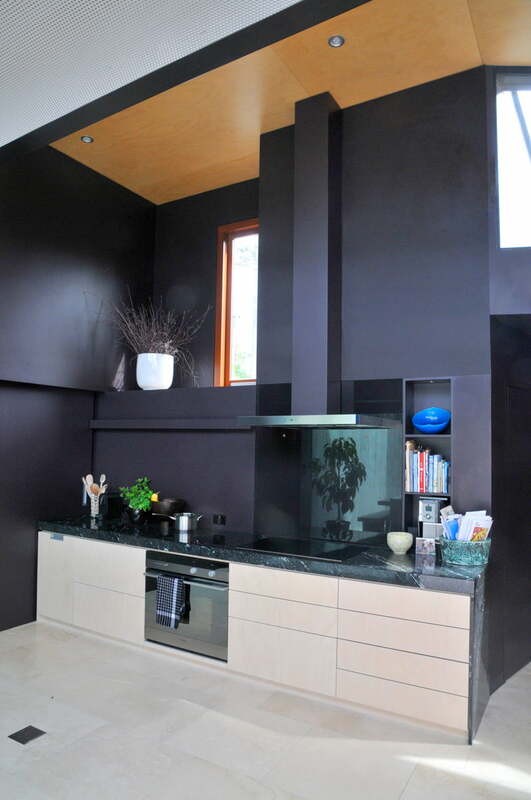 The results are careful combinations of dark, light, textured and smooth finishes lining the new spaces. We always thought that the design was innovative, in the way it worked with the site to provide what we needed. But the final result, the space and the attention to detail in the materials, is much more: a real pleasure to live in, every day.